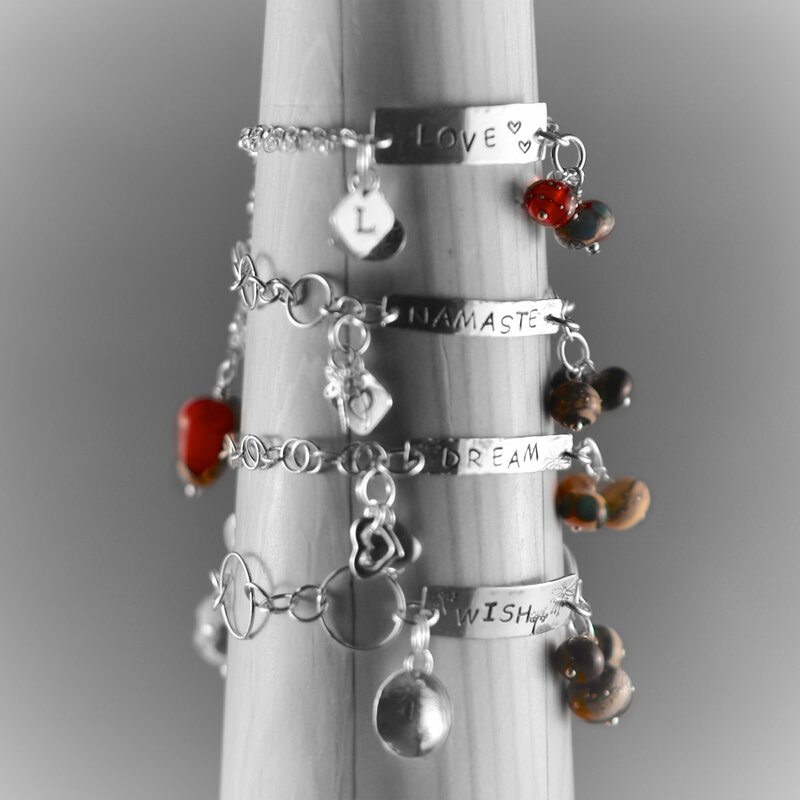 This year I have been playing with my silver smithing torch and have come up with a brand new line of charm bracelets. 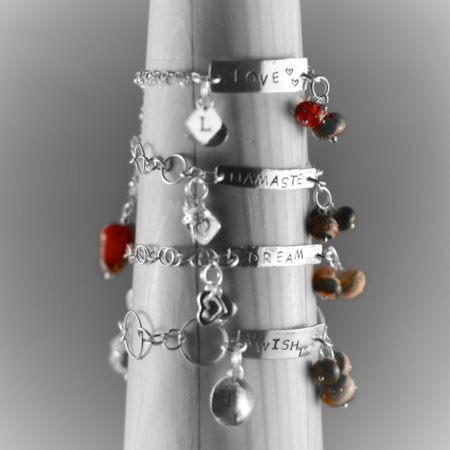 Each bracelet comes with an inspirational word hand stamped on a band of sterling silver. 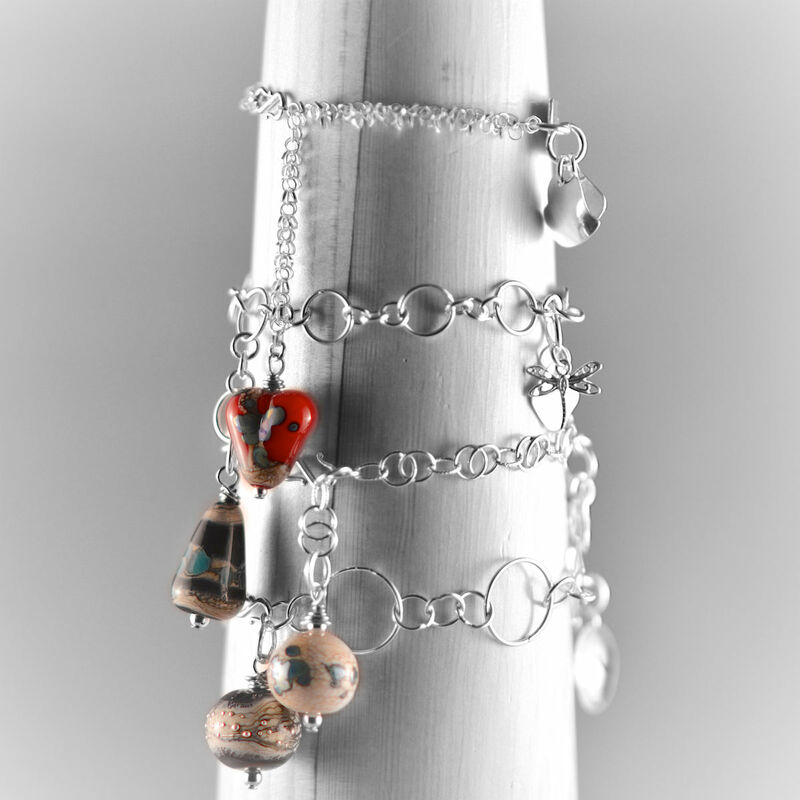 I then finish of each piece by adding some of my lamp work beads as an accent and a few of my handmade charms. 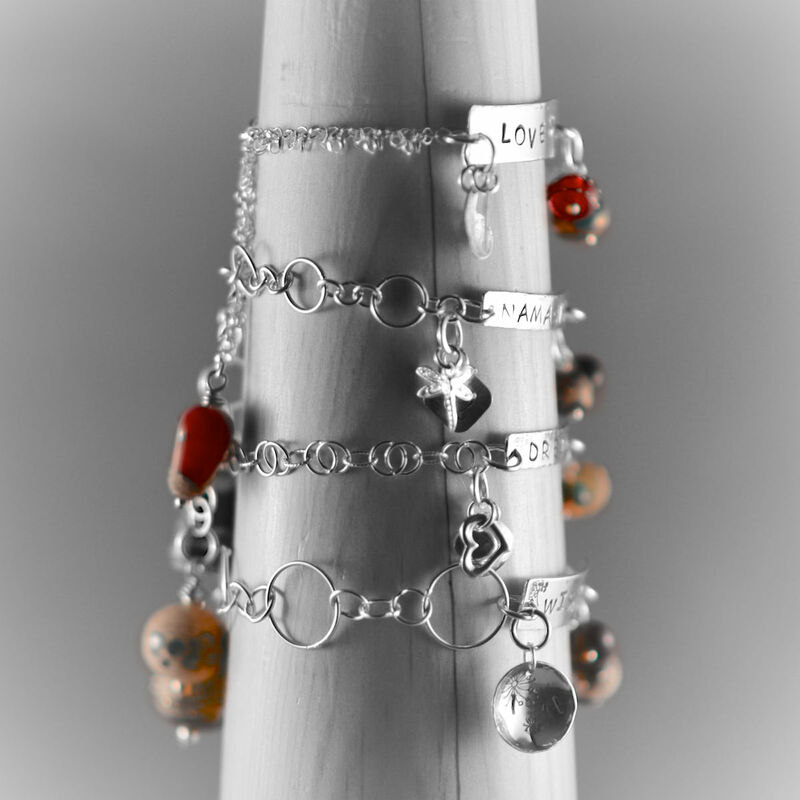 You can customize your charm bracelets by choosing Which handmade initials you would like to adorn your piece. 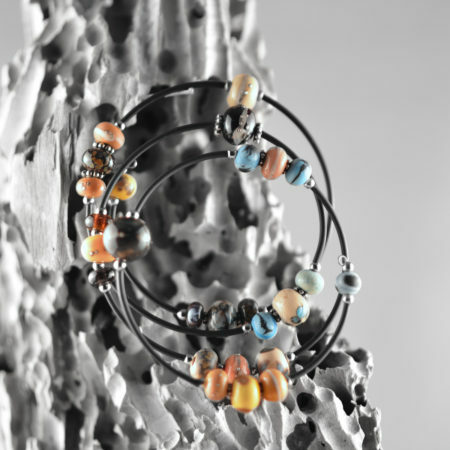 Other charms could also be collected and added to your bracelet simply be using a silver jump ring. 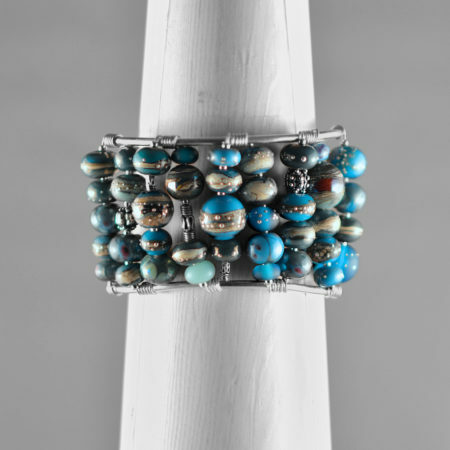 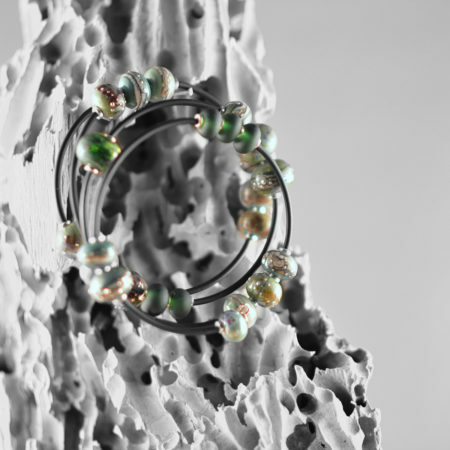 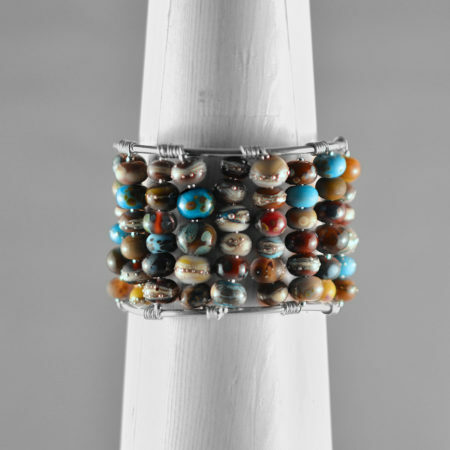 It should be noted that each bracelet can be custom fit to your wrist, simply by finding the length that feels best to you, you can then open the jump ring which holds the tail bead and move it to the perfect spot for yourself.